Home » Services » Car Detailing » Trucks, Caravans, Boats…. Put some pride and joy into your ride through first-class treatment! Let us treat your boat to a proper washing and weatherproofing or we can remove the rough terrain drying on your vehicle’s exterior. Whatever your needs, you will really appreciate having detailing for trucks, caravans, boats & more. 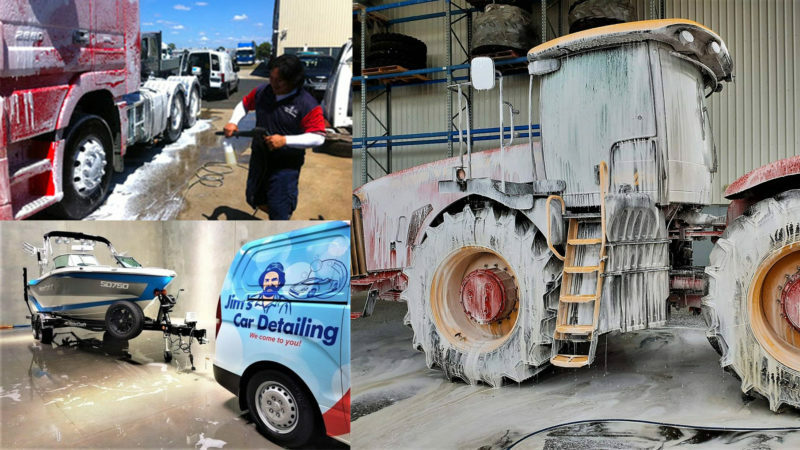 With leading edge processes and equipment, all of our vehicle cleaning specialists are expertly trained. “Very friendly and flexible with times and day. He did a good job with my truck seat! Thank you.” – Rohan B. “I was very happy with the cleaning, everything in the caravan smelt fresh and clean especially the couches and curtains thank you. I will be calling David for future cleaning I have already passed his telephone number to others. Thank you again.” – Venessa S.
“Yes, good job Lawrence, caravan looks fabulous and clean.” – Deb H.